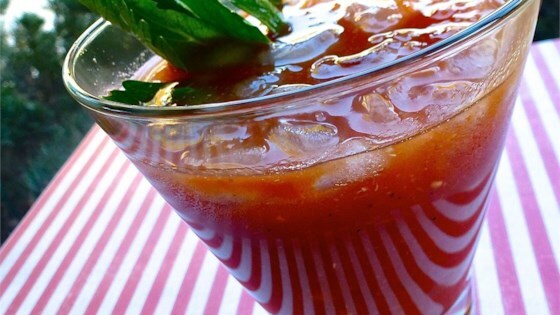 "This is the ultimate bloody mary! After several tries and a few not-so-good-next-mornings, I perfected this yummy concoction! Serve chilled with big green olives and/or celery stalks and a smile! Try pepper-infused vodka for an even spicier concoction." Stir tomato juice, vodka, lemon juice, Worcestershire sauce, horseradish, hot pepper sauce, celery salt, and black pepper together in a pitcher.